The Corbolo River is one of the largest tributaries of the Niben River, which it joins at the northeast corner of Niben Bay. 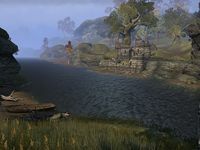 It rises to the southwest of Cheydinhal, flowing southeast until it merges with its tributary, the Reed River, then south, then finally southwest. 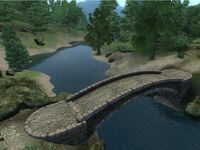 For game-specific information, see the Oblivion Corbolo River article. This page was last modified on 9 December 2014, at 02:10.